Ever since the campaign trail, one of the biggest points for US President Donald Trump was the perceived unfair trade practice by China, citing intellectual property abuses, especially in the tech industry, tariffs, and a growing trade deficit. So what has happened since then? The Trump administration, trying to help revitalize the manufacturing industry first imposed tariffs on steel coming from any other nation, including China. China then released its own list of tariffs on US products totalling to around $3 billion. However, through this, it started escalating from US proposals to increase the tariffs to $50 billion worth of Chinese goods and China responding likewise. 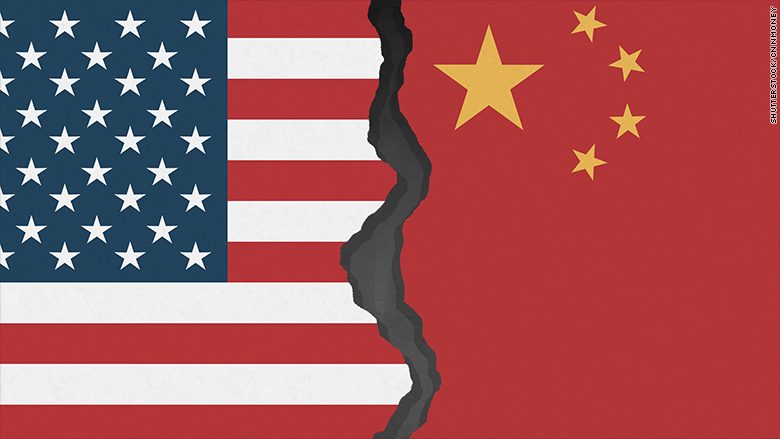 This ultimately led to a two part phase where the US imposed tariffs of roughly $200 billion on Chinese products in September of 2018 with threats of an additional $260 billion if a deal was not reached. China promptly followed suit with an additional $110 billion in tariffs. The situation, while initially stemming from a couple billion dollars as since escalated to a matter of a couple hundred billion dollars which could potentially lead to all Chinese imports to be subject to tariffs. While the goal of any tariff is to make any imported goods more expensive to allow for local products to be comparatively cheaper, the consequences of this economic war have been detrimental to the American people. For example, many technological components have microchips that are assembled in China which has led to an increase in prices. These tariffs have gone from trying to create an equal playing field for local companies to becoming punitive in nature to try and force a deal. In addition, the US also started investigations into Chinese economic espionage. On October of 2018, two alleged Chinese officers were indicted on charges of a conspiracy to steal US jet propulsion technology. In addition, the US announced that it would take measures to try and curtail intellectual property theft from Chinese technology companies such as Huawei and ZTE. The ramifications have not stayed within these two countries. In early December, the Canadian government announced its arrest of Huawei’s Chief Financial Officer, Meng Wanzhou for intellectual property theft and bank fraud. Later that month, in retaliation, a former Canadian diplomat was arrested in China. On December 2, the two countries have declared a temporary 90 day truce. On January 7, the two countries were set to engage in trade talks in Beijing, however, due to disagreements on intellectual property rules, this was cancelled. At the end of the January, they were supposed to have another set of trade talks in Washington, however, President Trump cancelled these later stating that he would not meet with Chinese President Xi until after the truce expires which is on March 1. Right now, all we can do is wait and see how these two nations will settle this increasingly pressing issue. The arrest of Huawei CFO, Meng Wanzhou is not cut and dry. As a prominent leader in China; of a homegrown technology giant, inevitable economic effects are to arise for all countries involved. The arrest in December of 2018 has ensued in a diplomatic firestorm fueled by the combination of foreign policy and trade. Non-objective actions with unclear governments are creating unfavourable situations for all parties involved with long-term effects unknown. As Canada tries to continue to engage in the liberalization of trade policy and pursue greater multinational agreements; the current situation regarding Huawei, Meng Wanzhou and the Chinese government may prove to be detrimental. To understand the magnitude of Huawei and its importance in the Pacific Asian market, recollection and following actions of the Chinese government lead to complete protectionist policies and “shelters” for the company. Currently, Huawei is the worlds second largest seller of phones only behind Samsung- the company, which has become a global competitor in the mobile market place rivals Samsung and Apple with high-end finishes, features, hardware and design which flagship Huawei devices boast. Global economic and diplomatic tensions have been fierce and highly politicized and not entirely objective. Trade negotiations between China and the United States have been stalled with the US and large American tech companies accusing the Chinese government of forcing “technology transfers” to gain access and legitimacy from a legal standpoint in the Chinese market. Lack of commitment to structural reform in US-China trade talks has further elongated the trade wars between the two superpowers as China ignores equal market access and intellectual property rights to protect Huawei. The company also has deep-rooted ties to the political landscape in China as Ren Zhengfei; who is a former military general and current President of Huawei who has ties to politicians and multiple levels of governance in the country. Asides from personal connections, the government has taken pride in the Chinese tech giant as it’s brought a Chinese entity at the forefront of innovation and global competitiveness in the tech space. Meng Wanzhou being arrested has only added more fuel to the fire as trade talks between Washington and Beijing have been stalled and the initial deadline of March 1st, 2019 is extended. This has not improved global market conditions with widespread uncertainty in regards to tariffs and further barriers. Though this primarily involves China and the United States trade wars between these superpowers have more widespread implications on businesses which have interests in other nations’ as the ability and ease of conducting business and trade have deteriorated. Though Canada seems to have been caught in the middle of this- short and long term effects on our economy which are inevitable are yet to unfold. The handling of this situation, as well as talks between the US and China, will affect our own foreign & trade policy in the future as the current Huawei case will ultimately reflect Canadian leadership, priorities and ability to conduct business. Currently, the entire world is experiencing a shift of sorts where globalization and free trade practices are viewed in good practice- but with the recent rise of right-wing populism and protectionist policies, this creates a difficult situation for Canadian ministers to leverage trade talks. Furthermore, Canada recently has done a very poor job with the United States in the NAFTA renegotiations resulting in a very passive and agreement being the USMCA. This ratified agreement hurts the Canadian dairy industry, intellectual property with no reductions on tariffs on steel and aluminum. Finally, Canada to an extent has lost its sovereignty. As part of this agreement, the United States holds powers to veto and be made aware of our trade negotiations with other nations which would likely follow an unpredictable; American-protectionist agenda. With China making advancements in international trade and investments around the world, combined with their continued economic and growth in consumerism- its imperative for Canada to contain any effects of the Huawei case involving Meng Wanzhou to ensure our stability and potential for FTA’s with China and emerging markets. Overall, Canada must diversify our economic reliance and not be dependant on the United States. Not only will this provide us with access to new markets, but this will also open new opportunities for Canadians and our innovation as a country. Venezuela has one of the largest oil reserves in the world, but it is facing its worst economical crisis. Being what was once South America’s richest nation, hyperinflation, declining oil production, and the burdens of debt have reached the country at its lowest point. Recovery plans are in the process of being made internally and externally. Oil production is Venezuela's main source of income, and accounts for 98 percent of its exports. The decline in oil production started during the presidency of Hugo Chavez and since then, the production has fallen to only 1.3 million barrels a day in 2019, from 3 million barrels a day in 1999. This was caused by insufficient investments and the poor management of Venezuela's most significant industry. Consequently, this resulted in corruption, a lack of resources and supplies, as well as a strike that resulted in a loss of skilled workers. Moreover, sanctions and penalties put forth by the U.S. restricted the country for gathering funds from American investors and prevented them from exporting to their biggest customer, the U.S..The diminishing crude oil production and sale has started to cause Venezuela's economy to collapse. Venezuela's inflation rate significantly increases every year, boasting at annual rate of 373,000 percent. For instance, the price of a coffee has risen from 0.8 bolivars in 2018, to a staggering price of 3000 bolivars only a year later, in 2019. After the 2014 crash in oil prices, inflation rates rose quickly, as the country did not have any financial resources to fall back on. Also, the Bolivar, Venezuela's national currency, has lost most of its value, and is basically worthless. Many of its citizens are forced to leave the country and those who stay, are forced to turn to illegal markets for basic necessities. Venezuela’s debts have amalgamated to $157 billion in 2018, with creditors demanding more than $9 billion in payments. The decrease in oil revenue has contributed to the country's inability to pay off its debts, with last year’s total debt to be approximately 150% of its GDP. Initially, the government relied on the assumption that oil prices would be consistent at a high price. With oil prices crashing and sanctions that have cut off the country from its most profitable industry, Venezuela found itself in an ocean of debt. The U.S. would lift its sanctions if Guiado would assume real power. Then, the country could gather funds from the International Monetary Fund (IMF) and the World Bank to start using oil revenue to invest in other developing industries. A loan by an international bank would allow the central bank to stop printing currency and that would allow them to stabilize the Bolivar. By stabilizing the currency, the inflation rate would start to slow down and regain some of its initial value. Debts would need to be paid off, but the government would have to have sufficient funding to take care of its citizens’ basic needs to stimulate the local economy again. 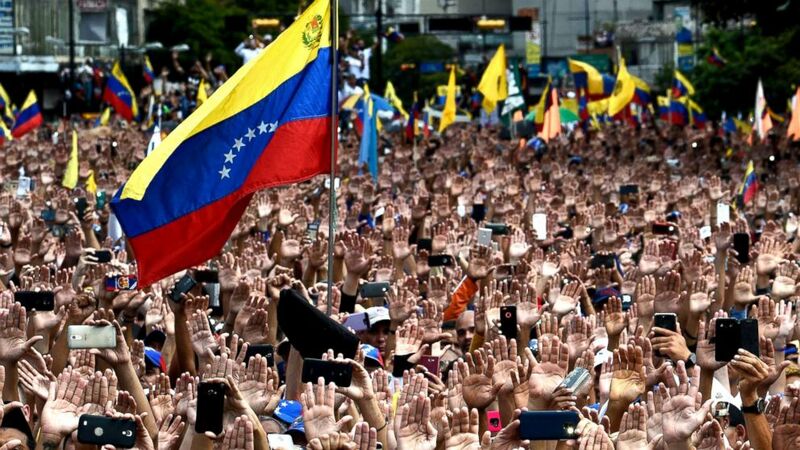 However arduous this process may be, it is necessary for Venezuela to gain funding enough for itself to stimulate other industries, to support its citizens, and to regain control of their own economy. On Sunday, sudden tragedy struck the families and friends of the 157 people killed as a result of the horrifying Boeing 737 MAX 8 crash just southeast of Addis Ababa, Ethiopia. Among the victims of the crash were passengers hailing from countries all over the world, including China, America, and Canada, making this tragic event a key world focus. Almost immediately, the cause of the crash was suspected to be a system malfunction with the plane, which would make it the second 737 MAX 8, a model which Boeing had newly released, to crash within the past five months. The first one, Lion Air flight 610, crashed right into the Java sea, off the east coast of Indonesia. Overwhelming evidence connects the two tragedies in a similar fashion; besides the same plane model, both planes have reportedly crashed just minutes after takeoff, which is speculated to be connected with the new feature that the 737 MAX 8 offers: an automated system designed to prevent stalls, meaning that this feature likely forced the plane into a constant downward incline, despite the pilot’s efforts. With investigations going on and no official statements being made public yet, it has not been confirmed that the blame is with Boeing, although many have already made their own verdicts, and Boeing’s apparent recall of the sold 737 MAX 8s imply that the blame is likely on Boeing’s own hands. Many countries that receive high volumes of daily air travel, such as Australia, China, Ethiopia, and South Korea, have taken action and have banned the model until a conclusion is made, and this list of countries is only growing longer everyday. On the other hand, airlines that already have existing models of the 737 MAX 8, such as American Airlines, have experienced troubles calming customers down, and a sharp decline in sales in the international airline industry seems to be evident due to generalized fear. On Monday, Boeing stock shares tumbled down 11% within hours of opening, which is astronomical for the aircraft manufacturing megacorporation that it is, wiping more than $16 billion of Boeing’s face value. However, as with most megacorporations, Boeing quickly recovered the majority of price within hours of the initial shock on Monday, and impulsive investors were able to snag the well esteemed stock at a largely discounted price. Boeing has consistently shown to live up to its name as one of the Dow’s most prominent stocks, and has had the highest return among the 30 stocks in the past decade. The possible blood on the company’s hands poses some questions to investor confidence, as well as short term spending and the success or failure of future Boeing models, as the 737 is the most iconic staple of Boeing, commonly called the “backbone” of Boeing’s cash generation. For now, one can only wait for the final verdict from investigations to arise, which could either save Boeing’s image or trigger another landslide similar to the one traders saw on Monday. Op-Ed: Are Some National Interests More Equal Than Others? Justin Trudeau has landed himself in a major political scandal that has crushed his “sunny ways” brand and has left Canadians upset over his failure to live up to his election promise of doing politics differently: with honesty and transparency. Of course, I am referring to none other than the SNC Lavalin scandal, which has not only damaged his “sunny ways” brand, but has also put his feminist brand into question, with the resignations of two high-profile female cabinet ministers – former Attorney General and Minister of Justice, Jody Wilson-Raybould, and former President of the Treasury Board, Jane Philpott. But what is Trudeau’s biggest failing? Well, the apparent answer is fairly easy to call out when it comes to the SNC matter: Trudeau and his government attempted to politically interfere in the criminal prosecution of SNC Lavalin, when then Attorney General Wilson-Raybould chose to follow through with criminal trial proceedings, rather than granting a Deferred Prosecution Agreement; something for which Trudeau says he was pushing in an attempt to act in favour of national economic interests and save 9,000 jobs. However, when Trudeau says this, he is most likely assuming that Canadians are unaware of the fact that Wilson-Raybould was never supposed to consider how many jobs could be lost, because “prosecutors are forbidden to consider the ‘national economic interest’ under a Criminal Code provision passed by Trudeau’s own government.” Essentially, he’s managed to politicize a process which is supposed to be, and must always be, independent and free from all forms of interference. Unfortunately, this government needlessly plans to over-politicize yet another process, i.e. our pipeline approval process. There is already so much uncertainty surrounding the Trans-Mountain pipeline which the government had purchased from Kinder Morgan for $4.5 billion in 2018. Notably, the Federal Court of Appeal overturned Ottawa’s approval of the expansion, “citing a need for more consultation with First Nations and a review of the impacts of tanker traffic”, leaving Alberta extremely concerned about how they’ll ever get refined oil to market in a timely way, and eliminate the deep discount in the pricing of Canadian oil, which has severely hurt the economy of that province and resulted in severe job losses. With the proposed Bill C-69, our pipeline approval process will now be filled with even more uncertainty. It will give the federal cabinet a veto over all pipeline projects so that they can have the last word, and act in favor of whatever they would choose to define as the “public interest.” This bill will completely discourage companies from building pipelines in Canada, as they would have to worry about whether the cabinet will act in favor of “public interests” or political ones, on top of having to spend millions of dollars on the approvals process. As well, they would fear that all it would take is one province, in this case British Colombia, to derail the entire process by claiming to be concerned about environmental harm. BC’s hypocrisy became even more evident because they actually supported the development of the liquified natural gas industry, which also has a significant impact on the environment. When it comes to the Trans-Mountain pipeline, clearly, Trudeau’s government failed to exercise their own federal jurisdictional rights by not standing up to BC’s court challenge to block the building of the pipeline on the ground of environmental harm. If the feds truly want to demonstrate that they are as concerned about the tens of thousands of lost jobs in Alberta as they are about the 9,000 SNC jobs, they should not politicize the entire pipeline approval process any further. Instead, they should act with firmness, and invoke the notwithstanding clause to remove all hurdles against building the Trans-Mountain pipeline. The notwithstanding clause is a constitutional tool which is there to be used with great care in times of national emergency. Not making use of it right now would be a national shame, and a missed opportunity. Considering that Canada is still very much a resources-based economy, the feds would in fact be acting not just in Alberta’s interests, but that of all of Canada. Prime Minister Justin Trudeau has been embroiled in a huge controversy involving Montreal based engineering and construction services company, SNC-Lavalin, and former Minister of Justice and Attorney General Jody Wilson-Raybould. On February 15, 2015, the RCMP charged SNC-Lavalin on several counts of fraud and corruption for its attempts to bribe the Libyan government to land important contracts. While charges were being laid for this specific case, the company has been accused of bribery in a number of other occasions including the Bangladesh Padma Bridge and Montreal’s Jacques-Cartier Bridge. If found guilty, the company would not be able to participate in bidding on Canadian government projects for 10 years which would have drastically lowered the company’s revenue. About a year ago, when the Liberal government was drafting a budget bill, it included an amendment to the Criminal Code known as a Deferred Prosecution Agreement. This would function similar to that of a plea bargain where the accused corporation could avoid criminal charges by paying reparations. SNC-Lavalin lobbied for this as the provision would allow for it to continue bidding for Canadian projects. However, the prosecution would be the one to make the decision of whether to negotiate such an agreement with the firm, and in this case, it chose not to and would follow through with the criminal trial proceedings. As Attorney General, Raybould had the authority to direct the prosecution service to negotiate an agreement with the company, however, she refused to do so and upheld the prosecution’s decision. Later this January, Trudeau changed her position to Minister of Veterans Affairs. According to reports, she was pressured to overrule the decision and negotiate an agreement and her lack of cooperation was one of the reasons for her change in position. Raybould later on resigned from her position in February whereas Trudeau still maintained that there was no pressure put on her. Towards the end of the month, the Prime Minister waived his solicitor-client privilege which allowed Raybould to testify in front of the justice committee. In her testimony, she mentioned that she was constantly pressured by Trudeau’s office. At one point, Trudeau and the Clerk of the Privy Council, Michael Wernick, mentioned the economic challenges when the province would lose thousands of jobs if an agreement was not made. In addition, the Prime Minister is an MP in a riding in Montreal, which would be major conflict of interest in this case due to the upcoming federal elections. The opposition’s reaction ranged from a condemnation of Trudeau’s actions to calls for his resignation. With these serious allegations, Trudeau has stated that he “completely disagreed” with Raybould’s version of events. While the investigation into this whole situation is not complete, it is seemingly becoming more reminiscent of the infamous Watergate Scandal which caused President Richard Nixon to resign. Bitcoin seemed unstoppable just before the Christmas of 2017. Its stock market price and value was rising exponentially, and many investors invested into the digital currency in hopes of generating profit from Bitcoin’s newfound popularity and uproar. As the biggest Christmas present of their lives, many investors held the stocks of one of the most successful cryptocurrencies in the world. In 2017, professional investors and amateur traders alike predicted that the stock price of Bitcoin would increase even more. However, in January of 2018, Bitcoin’s price crashed to less than half of its December value. As a result, many people have speculated if Bitcoin would become a “bubble” and lose all of its value by the end of this year. In March, the price of Bitcoin hovered at approximately $8000. In spite of this dire situation, Bitcoin investors were enthusiastic, hoping that Bitcoin’s price would rise up to $100 000 again by the end of this year. The cycle of financial bubble stems from three phase, which includes the buying, irrationality, and “saving yourself” periods. In the first period, many investors start to buy a lot of shares in the company. However investors and traders are persuading themselves that increasing prices are due to the fundamentals of the stocks, even if they aren’t. The irrationality period continues the buying period, but this is when investors convince themselves further that they can dodge the crash when it happens. The “save yourself” period happens as investors draw out of their stocks when the stock prices crash or decrease dramatically. Unfortunately, Bitcoin was in phase 2 before Christmas of 2017. Now, it may be in phase 3. Likewise to Tesla’s stocks, in Bitcoin’s history of market crashes and revivals, optimistic investors insist that Bitcoin may rise again, becoming bigger and better than before. However, a provider of cryptocurrency once said, “Due to the fact that Bitcoin has no intrinsic value, it is extremely vulnerable to investor sentiment.” This idea is evident in the newest plummet of Bitcoin. Last month, the Bitcoin price plummeted to as low as $3600, but rose back up to $4000 in the last week of November. Many contradictory news articles of Bitcoin left its investors confused, but it is unsurprising that the fall of the price has not caused much pessimism among the cryptocommunity. In the race where many economists view Bitcoin as a “bubble”, many investors choose different avenues to earn their profit. But the real question still stands; is investing in Bitcoin a “safe” option or will its bubble finally burst? In our current world, the ubiquitous presence of advertisements leads to people being unable to escape glossy adverts or glittering models. The idea of fashion is so incessantly present that it seeps into our routines—whether its carelessly scrolling past outfit ideas on Instagram or glancing at articles about celebrities and designer streetwear. It's ceaseless and inescapable; our own ties with consumerism led fast fashion to first emerge in the 1800s and then to become omnipresent. What is fast fashion? Its physically embodied by stores like Zara, H&M, or Forever 21—with their gleaming signs screaming sales and deals and promising dreams. Its inexpensive clothing made in questionable factories with questionable conditions for the workers. Its taking trends from the runway that become identical pieces of clothing to sell to consumers. This has been present for hundreds of years, yet we are only beginning to have conversations about its ethical issues and effects on the economy. There are innumerous environmental concerns, along with problems about the abominable way the industry treats garment workers. As fast fashion focuses on (as you can guess) how fast clothing can be manufactured, factories cut corners on environmental sustainability. The amount of pollution and waste that results from fast fashion is almost unimaginable—a car moving for around 130 kilometres is equal to the greenhouse gases emitted when manufacturing a pair of jeans. Furthermore, animal cruelty is also a major issue, as real fur and leather are used to create that jacket you adore. The fast-paced demand for new, new, and newer has also increased the discard rate of clothing, as clothes coming in will match the amount thrown away. This only increases the amount of manufacturing and adds to our landfills. Garment workers are directly in the midst of all of these issues. A notable incident occurred in 2013 in Bangladesh—1000 people died during the Rana Plaza collapse. It made national headlines and increased the overall global understanding of fast fashion. The conditions these workers are in are inhumane; a salary of $96 per month while working in a dangerous environment is unthinkable to someone from a first-world country. It would be hypocritical for me to comment about purchasing a $10 dollar shirt on sale (although with our sales tax, maybe wait for a better deal) but think about the multitude of almost identical shirts you have in your closet. Think about that shirt’s origin a little bit more. This may seem bleak and purposely written to discourage any sort of purchasing, but the history of fast fashion cannot be rewritten. However, individuals, companies, and NGOs can alter the future of the industry. Studies have been made (notably from the Ellen McArthur Foundation and Global Fashion Agenda) about the economic effects of fast fashion. Currently, in the last fifteen years, the clothing produced has doubled, and it will only increase—proven by a predicted 400% growth in GDP by 2050. However, the waste created by the industry is incomparable, as $400 billion (noted in a report from Global Fashion Agenda) of clothing is thrown away too early. Currently, Pulse of the fashion industry reports has proven that by 2030, there will be a $192 billion advantage if ethical and sustainability issues are fixed in the industry. The Pulse score in 2018 (uses the Higg Index to indicate current sustainability) was 38/100, which was 6 points higher than in 2017. By introducing disruptive solutions like sustainable materials, recycling technologies, and automation, this score will only increase. Through improving awareness, there will be lowered mindless consumerism—there’s nothing wrong with needing to purchase inexpensive clothes, but by limiting spending, it will be better for both the environment and your wallet. As technology becomes increasingly important in our everyday lives, understanding its uses and applications in different fields becomes indispensable. Held at Ryerson University’s Ted Rogers School of Management in the heart of Toronto, the 2019 winter conference was titled “Emerging Technologies.” Featuring workshops, speakers, and activities, this conference integrated the fields of AI, Fintech, and Blockchain with the future of business. Attendees were given an incredible opportunity to network and talk with like-minded peers. In an energetic atmosphere, many new connections were formed between these young and determined individuals. The first keynote speaker, Roberto Sanabria from York University, talked about his experiences and how technology led him to founding Cryptoducation, a consulting company that teaches and advises businesses and individuals on how to incorporate blockchain into their company. Based on his extensive knowledge and past experiences, he gave valuable insights and advice for students aspiring to become young entrepreneurs. Then, attendees learned about three different topics while engaging in a roundtable discussion and workshop. They listened to three keynote speakers talk about their experiences in the field. While the founder, of IG Liaison, Catherine spoke about privacy on the internet, many individuals became cognisant of the extent of their “internet footprint.” Eric, an IBM employee, spoke about his work with the company and offered insight of working with one of the biggest companies in the industry. Laura B and Laura M, the entrepreneurs that established Culture Vibes, spoke about their entrepreneurship and career paths, exemplifying that one’s passion and determination can lead to one’s success. “I think it taught me a lot on what I wanted to know and some extra information. Like, I didn’t know what Blockchain or Fintech was...I think I learned a lot more and developed an interest in what they talked about today. I’m definitely going to go home and do my own research about it. After an exciting lunch and networking session, participants were able to do a coding activity with Chainsafe that targeted Fintech and applications of technology in business. Concluding the day with a speaker panel, attendees were able to gain insight on future career paths, entrepreneurship, as well as the emerging technologies within the fields of business. With an exciting lineup of keynote speakers who closed many gaps of information, students were able to engage in interesting talks amongst peers with similar interests. The Emerging Technologies Conference expanded particpants’ horizons through engaging workshops, and consequently, developing the business minds of Toronto’s future. A huge thank you goes out to our two incredible event partners in TOhacks and Blockchain Ryerson who helped make the day a success! Are we making use of the financial technology that makes banking as convenient as it can possibly get? Well, we regularly use online banking, where customers don’t have to visit the branch to perform simple tasks, like depositing a cheque, or transferring money from one account to another. All of these things can be done in minutes with a few taps on our phones. However, online banking is no longer the newest way in which banking is made easier. Now we have open banking, and it has already started to change the way banks around the world provide their financial services. In the present day, the bank is the immediate “go-to” for the average customer when he/she wants access to financial services. This is because banks have an old trick to make customers stay loyal, and, resultantly, have a larger market share: they operate under an independent system where they hold and “own” their customers’ data. Other financial institutions, as well as the customers themselves, don’t have access to this data. Open banking, though, will force banks to change the way they operate. Open banking is a system that allows customers to easily access their own data which is held by their banks, and securely share it with third-party financial service providers and firms outside the financial sector. This will give customers the chance to pick and choose the right firm/institution to do business with, for each of their financial needs. But what will it take for Canadians and Canadian businesses to actually benefit from open banking? Well, first of all, our banks need to be willing to provide services through third-party channels. Of course, in order for that to happen, they need to accept the fact that data sharing can be done securely when it’s done correctly. In a LinkedIn article called Open Banking: The end of vertical integration in Financial Services, the writer, Gianluca Corradi, gave an excellent example of how The Commonwealth Bank in Australia created a property-guide app that uses external databases and augmented reality so “customers can simply point their phones at properties in which they are interested, and they can check in real-time the history of the buildings, the previous transaction prices and a whole set of relevant information useful for taking an informed decision regarding the purchase.” He explained that “by using this app, Commonwealth increases dramatically the probability of having customers apply for mortgages instead of going to competitors.” This shows that not only can open banking benefit customers, but it can also give banks a competitive edge as well. This is especially true for Canadian banks and financial institutions. So far, they’ve managed to hold on to their large market shares without making any significant steps towards adopting this new system, and do this by investing in, or buying out possible competitors before they become big. An example of this is how Power Financial Corp. invested a total of $165 million in Wealthsimple, a fintech, to decrease the chances of it disrupting the finance sector. As well, for loans of up to $35K, CIBC is offering their customers the option to access funding digitally through their fintech partner, Borrowell. The funds are deposited into the clients CIBC account the next business day. This is smart because CIBC mitigates the risk of losing a small business client to an external competitor. But if that CIBC customer truly owned their own data, they may be more free to select other vendors. That is why financial technology cannot be contained forever by means of such partnership with the big Canadian financial institutions. That is also why such firms are paying close attention to the Canadian Government’s consultations with all industry stakeholders that is currently underway through their Advisory Committee on Open Banking. This committee is exploring the pros and cons of a system which would give consumers the ability to share their financial data with third parties. As we have seen in other industries that have resisted change, the advances in technology cannot be stopped for too long. Blackberry and Microsoft learned that lesson the hard way. So, it will be interesting to see the outcome of the Committee’s recommendations, as well as the industry’s responses to it. China has established itself as one of the world’s premier superpowers through technological innovation, rapid infrastructure growth and substantial economic developments for the better part of the past 3 decades. The People’s Republic has also asserted their dominance in a geo-political manner by becoming a large lender as part of bilateral trade relations with struggling Asian and African nations which are at high risk of defaulting on loans thus regarding this practice as “debt-trap” diplomacy. However, China is in a trap of its own which can bring the global economy into crisis. Following the global financial crisis in 2008; state-owned financial institutions in the mainland began to lend out large sums of money to developers and corporations to primarily finance infrastructure development and construction projects which would, in turn, stimulate and grow the economy as it provided local jobs, trade and local governments with revenue. Despite figures of measure regarding economic growth and prosperity, a problem which arose from this was “ghost towns”. This new phenomenon has been becoming more prevalent as regional governments strive to meet growth rates outlined by their parties which results in large loans of billions of dollars to generate economic activity becoming a large part of “value” and GDP. China has had increasing urbanization rates which in 2017 supported by almost 21 million new urban civilians pushing the urbanization rate of the Republic to almost 60%. Moreover, there are almost 65 million vacant units in the country; this, however, is not the main issue. The primary concern is vacant units which are financed by growing debt to support economic prosperity collectively undermining the financial institutions and posing risks to de-stabilizing the global economy. Much of China’s debt is divided between private entities and those of the state. Corporations in China have the highest debt to GDP% in the world. While China does have substantial amounts of debt, it’s not too far from those developed nations such as the US and UK; however, the difference between these nations is the fact that the US & UK’s GDP/Capita is almost 4x greater than that of China. In addition to the USD and Pound Sterling being backed currencies with stability. In 2008, the Republic’s debt as a % of their GDP was at 141% whereby mid-2017 this figure has ballooned to almost 280%. Nations which have piled on massive amounts of debt often have a recession and economic regression. China’s almost $40 Trillion of debt is concerning since China is one of the largest trading markets leading the charge in corporate bonds and being the second largest economy; many other nations are dependent and have economies intertwined with China. Nations such as South Korea and Taiwan have as much as 15% of their GDP and economic activity dependent on China in terms of trade relations and exports. Another issue in this looming debt crisis regarding lending practices is China’s shadow banking. Which is not uncommon in global practice; however the percentage’s at which lending occurs in this unregulated market is staggered in China as the defaults of corporations and inability to keep up with loan and interest payments is becoming problematic and creating issues for the government in Beijing. Though the government has created agencies and more stringent policies to combat shadow banking; the private sector is showing signs of weakness and inability to stay up-to-date with payments. Though the country has had a stable interest rate; any sudden increase may prove to be too much and cause a cycle of defaults on loans and payments which could, in turn, create a fallout affect requiring a government bailout for the “bad debts”. Chinese corporations hold almost $20 Trillion in debt and as a countermeasure introduced bonds to help pay back their loans. By the end of Q1 in 2017, 9 companies defaulted on bonds issued. As Beijing tries to sustain and limit future credit based growth; this may result in a greater number of entities being unable to make bond, loan and interest payments. An effect this has on the global economy for investors and stakeholders is on the financial markets. In March of 2017, on the Hong Kong Stock Exchange, Huishan Dairy was unable to make a loan payment; within a month the company lost almost $5 Billion of market capitalization proving worrisome for investors. This is very concerning as China has risen to become the world second largest economy and third largest bond market. If a crisis is to occur; there will inevitably be a catalyst. The first catalyst can be interest rates. Just as things are; corporations including state-sponsored entities are defaulting on loans and bonds. Any increase in interest rates which many countries around the world have done to combat inflation can prove to be problematic with the looming debt in China. Additionally, since for almost 3 decades, the nation has averaged near double-digit GDP growth; it has been able to keep up with debt payments. However with new de-leveraging policies to decrease and contain debt, if the country is not able to maintain economic growth, this slowdown makes it materially harder for the economy to keep up with debt obligations and payments. Overall, this is still a building issue and with a government driven by objective and meeting performance metrics. It will be interesting to see what unfolds in coming years; a global crisis or continued growth from this developing nation. It is unclear and difficult to foresee what may happen however if a crisis is looming; it can prove to be catastrophic. In a world where knowledge and information is becoming rapidly decentralized with the internet, skills outside of academics such as effective interpersonal communication are more important than ever. In particular, leadership is becoming increasingly valued by modern day businesses and industries. 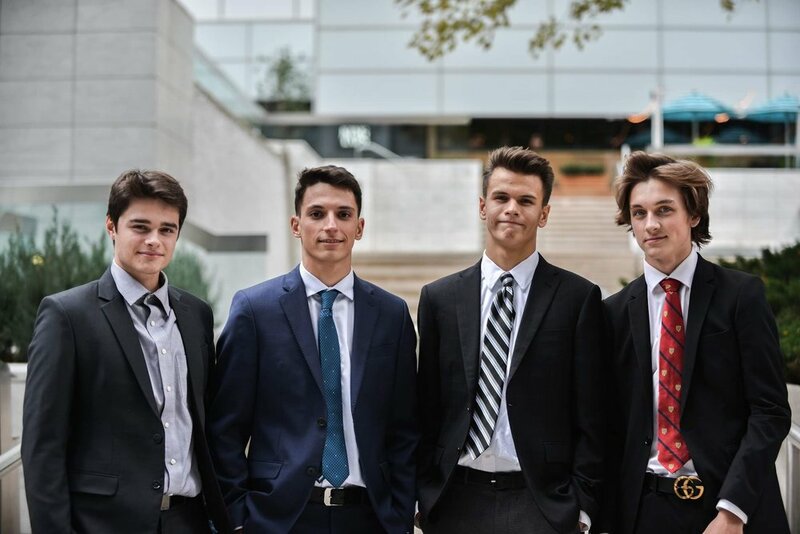 Here, four experienced leaders at the Junior Economic Club of Toronto have come together to present you what they believe are the keys to leadership in the 21st Century. As a leader, you must have a focused vision for what your organization wants to achieve, paired with the ability to develop a clear plan to achieve it. Visions usually come in the form of a pain that your organization seeks to alleviate. For instance, the leaders at Junior Economic Club of Toronto seek to level the playing field for youth pursuing a future in the competitive world of finance. In this case, the pain that JEC Toronto seeks to alleviate is the pain that students face in finding equal leadership- and finance-focused opportunities in spite of their socioeconomic or academic backgrounds. Likewise, you must define the problem that your organization is trying to solve. Who do you target, and what pains will you alleviate? Your team won’t be invested in a cause that isn’t explicitly established. Stepping into the shoes of becoming a great leader begins with defining your vision. Your vision is the foundation for leading your team to accomplish meaningful work within your community. Once your vision has been established, you must develop a clear and thorough plan of how to achieve it. Which institutions and people must you reach out to? What resources do you currently have, and how will you best use them to your disposal? As a leader, you must be able to work effectively with your team to answer these questions. You must commit relentlessly to carrying out your plan despite any setbacks or obstacles that you face along the way. A great leader must also have a balance of confidence and empathy. First, believe in yourself. Trust your decisions, and have confidence that things will work out: especially when stepping into new territory like executing the plan for a brand new event or leading your team to reach out to unfamiliar companies or government figures for sponsorships and grants. If you are confident in what you’re doing, your team will seek to reflect that. If you set a high standard for professionalism and productivity through your own work, your team will follow in kind. You must always take it upon your shoulders to be a role model for effective team behaviour, even if you feel momentarily lost yourself. An effective leader inspires confidence in their team members by taking initiative and following through with their plan, head held high. Next, be empathetic and trust your team members when it comes to their ability to fulfill their duties. Give them as much autonomy as their role and skill level allows, but be there to guide them when it is necessary or when they require support. If they’re faced with challenges or unanticipated obstacles in completing their tasks, be lenient and understanding within reasonable limits. Seek out your team members’ goals and learn what motivates them, and have the ability to do work that makes their jobs easier. Once you learn to be confident in yourself and your team, your team will learn to be confident in you, and they will be motivated to work towards fulfilling your organization’s vision. Leadership is a form of influence, not authority. The most effective way to influence others on your team to work towards a common goal is by being authentic. Don’t hold yourself against a predisposed idea of how a leader should interact with their team members. Whether it’s adhering to a rigid but uncomfortable standard of formality or trying too hard to maintain an image of authority, people can tell when you’re pretending to be someone you’re not. This creates a barrier which encourages your team members to question what else about you might be inauthentic. Instead, focus on developing your personal leadership style. Leadership is not about putting yourself on a pedestal; it’s about bringing out the best in those around you. Find out what common interests you might share with your team members outside of your work, whether in sports, books, fashion, or politics. Build rapport and be vulnerable. People are inspired by humans, so show your team that you’re human by being open with your failures and who you are. In response, you will find yourself with a team that feels like a comfortable, tightly-knit community. Your team members will be motivated to complete their work to maintain a positive environment, and they will be more inclined to open up to you about their own difficulties: both within and outside the organization. In this way, being authentic is not only a key to fostering healthy relationships with your team members but also a practical method of uprooting and fixing problems that you otherwise may not be aware of. Perhaps the most important ingredient to leadership is the ability to persevere in the face of minor setbacks or severe failures. The reason why many people are unable to lead in the first place is because they are afraid to make mistakes. Don’t be afraid to make mistakes; leadership is not about being perfect. It is always easy to take a risk and see it pay off in short term success. However, much like investing money in an account with compounding interest, leadership is a commitment which requires patience and perseverance. You will only be successful in the long term because of your ability to face failure and learn from your mistakes. This is easily said, but not done, as you risk tarnishing your reputation as a result. Take Elon Musk as an example. Regardless of whether he’s recognized as CEO of Tesla and SpaceX or the man who smoked a joint on the Joe Rogan Podcast, his success is undisputed. However, most people do not recognize his incredible history of failures. In 1996, he was ousted as CEO of his own company, Zip2. In 1999, his first PayPal product was voted as one of the ten worst business ideas. In 2006, his first $6.7 million SpaceX rocket exploded within a minute after launching, followed by five critical launch failures within the next ten years. And in 2008, both Tesla and SpaceX were on the brink of bankruptcy. Yet, in spite of numerous expensive and reputation-damaging setbacks, Musk continued to pull millions of dollars out of his own wallet to invest in his companies, persevering to see his ambitions to success. Today, Tesla is a global leader in electric car production, whereas SpaceX has become the pinnacle of humanity’s hope towards becoming an interplanetary species. Musk’s spectacular list of failures demonstrates that to create true, lasting change, leaders must persevere through hardships even when the odds are not in their favour. Correspondingly, you must learn to work for long term goals rather than short term satisfaction. To be a great leader, you must learn to take calculated risks and be prepared to face outcomes that are not favourable. Instead of being dissuaded into giving up, treat forthcoming obstacles as motivators for success. Use your failures to drive you and your team to achieving your vision. Annually, the victimization of millions of citizens has an inherent impact on society and consumerism. The societal effects of fraud are omnipresent, as confidential financial information can be unknowingly accessed from a variety of sources. Common fraud ranges from prize drawings to medical insurance, and with the rise of the digital age, technology is utilized to provide even greater disadvantages to older generations. Two specific types of fraud are application frauds and securities frauds. By accessing confidential documents like bank statements that may have been initially thrown away, they are able to create loans or contracts under another person’s name. Application frauds are quite common, as many people do not shred sensitive documents. Furthermore, securities frauds are also known as stock frauds or investment frauds, which relies on giving potential investors false information about the stock. This results in them paying for a stock that may be decreasing significantly in value. Fraud cases are quite common, as activities such as phishing are greatly affecting people who are unaware. Sensitive information should never be sent with electronic mail, as hackers and false users have easy access. Specific types of phishing are deactivation scares, look-alike websites, and government look-alikes. These three typically prey on unaware victims who are usually scared to be involved in any credit card or legal trouble. There are severe effects of fraud, both towards the victims and towards the economy. Important corporations could be suffering due to fraud cases, which would affect more than mere individuals. Psychological difficulties can result in an increased amount of fear and timidness in victims, as many people may unintentionally place the blame on the victim for succumbing to the scammer’s lies. However, by becoming more knowledgeable about fraud cases and protecting yourself against these crimes, there can be a decrease of possible victims. As obvious as it might seem, be certain that sensitive information is not accessible to others; be sure to store documents in safe locations, use a shredder if necessary, and never verbalize or send out emails regarding personal data. Any suspicious phone calls or emails should be reported and ignored. If there are any questions about your financial state, there is no harm in physically travelling to a bank and speaking about possible charges made to your account. By speaking about these issues, many cases of fraud can be prevented in the future. Merkel Steps Down: Now What? In late 2005, Germany saw to its first ever female chancellor as Merkel, the leader of the centre-right CDU, claimed a landslide victory. But now, with falling polls, an ever growing opposition, and most recently, a poor performance in Hesse, Angela Merkel, the most powerful woman in the world, has announced last Monday that she is stepping down as her term ends in 2021. Throughout her thirteen years, Merkel has emerged as a dominant force in the western world. She has led Germany through numerous hardships, such as the euro and Ukraine crisis. Perhaps one of most notable, her vastly controversial decision to open up Germany’s borders received the praises of many globally, but at the same time large backlash domestically, much of which came from her own party. This decision led to the influx of more than a million refugees, fueling support for Germany’s left. Many speculated it to be a turning point in her political career, stealing more than a million votes from the CDU during the 2017 Bundestag elections. So, as the global political weather takes a shaky hit, what exactly will her stepping down mean for the global economy? At least in the short term, things aren’t looking so good. Mere minutes after her official announcement, the euro took a plunge, reaching a two month low, forcing European investors into a state of uncertainty, and remaining largely volatile throughout the week. But then again, most political shifts usually cause pandemonium in the Forex markets within the first couple hours. With Merkel gone, investors may fear that populist parties are to gain even more seats across Europe’s parliaments. Depending on the who succeeds Merkel, this could lead to further challenges for the European Union and weaken the authority of the European Commission. That could end up damaging assets such as the euro in the long run, especially in Q4. Many of Merkel’s policies, such as her reliance on product exports for economic growth, may be changed as Germany slides to the left. In recent years, many have called Merkel a “lame duck” for her rather conservative decisions and way of dealing with issues. Though Merkel received lots of criticism in southern Europe, her steady and cautious approach made her popular at home. A change in leader could mean the introduction of a more radically decisive Germany. Nonetheless, as europe’s primary powerhouse, the change in German power should certainly mean the change in economic policies and relations both foreign and domestically. Merkel’s transatlantic allies, such the US, willing be “watching closely” to see who might take the reins of Europe’s biggest economy. But for now, Merkel remains to be “ the queen of Europe”. Gen Z: What's the Outlook? Gen Z are the future. Born in 1995 and beyond, they’re youthful idealists who hope to improve the world while building their own secure financial futures. Although they don’t remember the 9/11 catastrophe, the 2008 financial crisis is still fresh in their memories. They are the first generation to grow up with modern technology, the Internet, and because of their comfort with technology, they’ve been dubbed “iGen”. The oldest members of GenZ are in their 20s, and starting to join the workforce. Before, millennials were decided to be lazy and entitled. However, GenZ are ambitious and industrious. Although the future for Gen Z seems very optimistic, they are eager to be successful in a world that’s not necessarily designed for steady employment. Employers will need to understand the needs of the new generation. Companies may lose hard work, commitment, and most importantly, Gen Z’s innate grasp on technology if they don’t adjust the way they recruit, train and retain employees. Gen Z believe that they can have it all; good pay, stable employment, meaningful work, and some liberty for their own work. Each new generation to the market brings its own set of attitudes, beliefs, and behaviors. As a result of growing up in an environment shaped by economic instability and social change, Gen Z are resolute, smart, pragmatic, and hard-working, among many other characteristics. Thus, many Gen Z are aspiring to become their own managers; becoming entrepreneurs. By becoming a entrepreneurs, they are able to use their skills and knowledge, and take advantage of e-commerce platforms like, which lowers the barriers of entry for business owners. The internet has revolutionized many products, and has allowed many young entrepreneurs to successfully operate their business. Many have identified good market niches or founded startups even before they’ve started post-secondary school. Gen Z are also more careful about money than millenials. A research study has shown that 12 percent of Gen Z were also saving for retirement. When it comes to their own finances, that means they’ll anything to avoid debt. The fiscal conservatism of Gen Z can be positive or negative. They are saving money, but this conservation of money causes political implications as well. So, the future of Gen Z can go down two paths. They can either be part of the hard working class, serving as employees to bigger corporations, or they can become entrepreneurs. But, there must be a balanced amount of Gen Z who choose to go down either career pathway. Although Gen Z may seem less competent than other generations, like Gen X and Y, these young individuals have many qualities to offer. They are the future of the world and the world’s economy rests in their hands. As Denise Villa has once said, “Generation Z has arrived - and they’re very different from millennials.” With an excellent education within their grasp, along with their innate abilities to innovate with technology, Generation Z offers many traits that past generations have not had. They are the future of our society and they will lead us into a world with a stability within the world’s economy. The modern smartphone is more powerful than NASA’s Apollo Guidance Computer (AGC), which put Buzz Aldrin and Neil Armstrong on the moon in 1969. However, with rapid technological development and increasing rates of global smartphone ownership and internet usage, energy use is a growing environmental concern. Take Bitcoins, the forefront of cryptocurrency and blockchain technology. As a decentralized currency, direct transactions can be done between people and entities, existing on a shared data network called a blockchain. Virtual coins are “mined” by computers solving complex algorithms. The world’s largest cryptocurrency mining company, Hut 8, recently opened Canada’s largest bitcoin mining project in Medicine Hat, Alberta. Powered by the low-cost, natural gas-fired power plant next door, the bitcoin plant can consume 10 times more electricity than any other facility in the city. The Bitcoin algorithm works in such a way that only a limited amount of coins can be mined every day. As Bitcoin rises in popularity, and miners compete for a decreasing number of available bitcoins, facilities are constantly forced to use more electricity. Currently, most mining farms are using electricity from non-renewable, greenhouse gas-emitting sources. Digiconomists estimate that current Bitcoin energy use is 70 terawatt hours per year. 1 Terawatt is equal to 1 trillion watts, which means that miners use more electricity than countries like Switzerland or the Czech Republic. Enter GEAR, a company dedicated to cleaning up the cryptocurrency mining space. They are the world’s first closed loop blockchain. They use mined cryptocurrency to fund green energy assets such as solar, wind, tidal and biomass to generate clean energy that feeds back into the mining facilities. Additionally, they invest a portion of their profits to support the research and development of renewable technologies and green energy. Other blockchain projects that harness both the innovative technology and renewable energy include SolarCoins and Brooklyn-based LO3 Energy. Participants in the Brooklyn Microgrid can trade and sell energy generated from solar panels, via a decentralized blockchain-based local energy marketplace called Exergy. Across the ocean, Power Ledger, an Australian startup, has developed a similar solar energy marketplace that allows you to take green power into your own hands. Blockchain installed into your power meter tracks the energy your solar panels produce. The company utilizes “Sparkz,” a digital currency used to buy and sell the renewable energy, worth one Australian cent. By using the trading platform, businesses and households can sell their surplus power at a higher price to another business or person than the low prices retailers offer. The other party also benefits, because they pay lower energy prices than their retailers charges them for. Blockchain may have started as a self-governing means of distributing money, but it has many applications outside of cryptocurrencies. Now, it is paving the way for greener energy across the information, communication, and technology (ICT) sectors. Following the meeting that occurred a week ago, there are rising interest rates in the United States, which will have an impact on citizens. The effect is not limited to the States, as Canada will also face issues that result from the interest rate hike. The specifics involve the Federal Reserve and their conclusion for a 2.00% to 2.25% fund rate. An interest rate is the percentage of the borrowed amount that needs to be paid for, in addition to the initially loaned asset. They can be referred to as an annual percentage rate, which extrapolates on how they are usually calculated yearly. Money is constantly borrowed in our society; this is especially true for prominent purchases or investments. In particular, interest rates will lead to the increase of many facets of our lives: savings, rates for credit cards, and the prime rate. There will be a growth to savings, due to the money market and credit-deposit rates becoming higher. Although this sounds positive, the flip side is that people with financial burdens will need to use a greater amount to offset it. In addition, credit card rates will increase, as the prime rate—the rate of credit given to people with high credit—will rise. This mainly will affect people that need to be loaned money short-term, as these rates will be significantly higher than long-term agreements. A higher national debt will also result from this, as there will be an increase in the amount needed for the United States’ government to borrow money. Rising interests rates will also lead to a decrease in money spent by consumers and the amount generated by businesses. As mentioned previously, with credit card rates becoming higher, people will think twice before swiping away money for items they may not be able to afford immediately. This will then lead to an impact on businesses—they depend wholly on being able to produce a steady income in order to expand. Banks may see a different outcome, but the profit for other types of companies will be lowered. This also has a significant effect on the housing market, as the overall increasement in the amount needed to pay back long-term loans are higher. Most people are unable to afford to purchase a house without assistance from a bank, which leads to less real estate being sold. The impact on Canada is a repercussion of the close ties we have with the United States. Throughout the past year, the exchange rate has been an area of concern for most citizens, and foreign goods expenses will only increase. Imported items will have a higher cost to purchase, therefore limiting the buying power of many Canadians. This topic will be the most detrimental for people with debt, however, as the integration between the two countries will possibly have an effect on Canadian interest rates. When it comes to foreign trade, many US lawmakers are focused on one thing: re-negotiating the North American Free Trade Agreement, or NAFTA. This comes amid the President’s promises to back out from, or at least re-negotiate, the trade deal as it is seen as unfair to American workers. So how did this all start? In 1994, the agreement was signed between Canada, America, and Mexico to ensure free trade of goods and services throughout the countries. This ensured that tariffs would not be imposed on any products being traded within the nations. This resulted in the reduction of prices for many products as they were imported from other countries. The lowered consumer prices were projected to help bolster the economy. However, many still had reservations about this agreement; namely, that it would export US jobs to countries like Mexico. This was then seen with manufacturing jobs, which have been sent to Mexico, as it was significantly cheaper to build cars and export them from Mexico rather than build them in America. With a minimum wage around half that of the US federal minimum wage, it is evident that costs would be significantly cheaper in Mexico. This has rekindled the debate of free trade vs. fair trade, or in other words, whether all boundaries for competition should be lowered or local goods should be favoured over imported goods. Recently, the US and Mexico have already come to a bilateral agreement in principle. They have even threatened to leave Canada out of the agreement if they do not meet the deadline by October 1st, however Mexico still believes that a trilateral agreement would be the most beneficial. In fact, President Trump has stated his intention to rename the agreement to USM – United States and Mexico – and has said that he is willing to include an initial for Canada if they agree with the changes. In the former agreement, the main target has been the automotive industry. Namely, they have agreed that 75% of automobile contents must be made in North America and that roughly 40-45% of components must be made by workers earning at least $16. This was added to help reinvigorate the automotive industry in the US and discourage the production of most car parts from being manufactured through cheaper labour in Mexico. There are several reasons why Canada has not come to an agreement with the US. For one, the US wants to get rid of Chapter 19 of the agreement, which is a provision that sends trade disputes to an independent panel rather than domestic courts. Over the past few years, this panel has ruled against the US in a number of disputes. A bigger concern has been raised over Canada’s dairy products and the government’s quotas and prices that are set for the domestic products as well as the steep tariffs levied against any dairy product imported from the US. While both countries have not yet come to an agreement, they both have echoed similar sentiments as to the potential benefits of the trade deal. With Mexico and the US Congress heavily leaning towards a trilateral partnership, it is left to see how the countries negotiate the remaining points of contention. Op-Ed | Elon Musk: What in the world is he doing? Disclaimer: the views presented in this article do not necessarily represent the stance of the Junior Economic Club of Toronto as a whole. With the continued issues Tesla faced over the past month, things are only getting worse for the electric car company after CEO Elon Musk’s decisions during a podcast show interview. During the airing of the daily Joe Rogan Experience podcast episode this past thursday, the popular CEO made an appearance as a guest, sipping whiskey and talking about flamethrowers, artificial intelligence, and electric planes. At one point, the topic of conversation became marijuana, the controversial drug that isn’t legal in all American states yet. Musk received the joint and took a puff, while claiming that he doesn't regularly use the drug. Though recreational use of marijuana is legal in California (the state where the podcast was made), the controversy surrounding the use of the drug still seems very unprofessional for a CEO to do on camera. Under federal law, marijuana is still illegal. In the past few months, Musk’s behaviors have been repeatedly criticized. As of right September 14th, Tesla’s stock has plunged almost 120 points, more than 30% since Musk’s first announcement of Tesla’s privatization, which he later took back due to widespread public outrage, lawsuit threats from market manipulation, and investigations by the SEC. This time, within hours of release, the podcast went viral, and Musk once again received tremendous backlash. Now, in addition to their CEO, Chief Accounting Officer Dave Morton and Head of Human Resources Gabrielle Toledano are also making headlines due to their sudden resignations, which can only mean further declines for Tesla. Tesla’s quarterly reports have been showing growth, though. Quarter 2 shows more than $4 billion in revenue, as compared to the $2.78 billion to quarter 2 of last year. However, Tesla’s financing and spending is quickly catching up as well. Tesla reported a $718 million loss, but they still have a positive cash flow. Unfortunately, with Model 3 production being pressured as much as possible and research happening with the Model Y, that could soon change, especially if Tesla keeps up their money-burning habit. Especially with the PR damage done by the CEO, things aren’t exactly looking bright right now for Tesla. At the end of the day, this is another example of how severely the actions of the CEO reflect on a company, despite its great efforts to retain its public image. For Tesla, if Musk doesn’t change his strikingly odd behavior soon, they’ll need more than a positive cash flow to keep them afloat. Chances are, the first thing that came to mind wasn’t economics. Maybe it was school, your friends, a significant other, or an extracurricular activity. As high school students living in an increasingly busy world, we tend to place most of our focus on the immediate and pressing issues in our lives. It’s difficult to give any significant portion of our attention to something that seemingly doesn’t affect us in the least, which de-prioritizes keeping up with current economic and political trends. 1. It’s a reality check. Unlike almost every other facet of the current political climate, economics is objective. There is a concrete right and wrong, which helps us analyze and understand the effects of economic policy. As human beings, we often focus on the emotional and sensationalized component of current events, so studying and understanding economics helps us take a subjective situation and understand its objective effects. 2. It helps you make financial decisions. With the way our economy is constantly fluctuating, learning financial literacy is unfortunately not a one-size-fits-all experience. Once you’ve learned the absolute basics, making financial decisions involves a solid understanding of the current state of the economy. Global wars, elections, and crises will all have an effect on the value of your assets and investments. Knowing what stocks to invest in, how to manage your debt, and how to prepare for unemployment all depends on what is currently happening in the economic climate, meaning that you will need to keep up with current trends if you want to be able to make sound financial choices. 3. It prepares you for the future. As previously mentioned, our economy is constantly changing, and a part of that involves the job market. As millennials or Gen Z-ers, the jobs available to us aren’t the same as the jobs that were available to our parents. Technological progression and development is causing uncertainty and turmoil in industries that were previously thought untouchable, and is creating demand for jobs in sectors that didn’t exist until only a few decades ago. Keeping up with these changes will help prepare you for entering a job market different from anything else in history. As youth living in the twenty-first century, it’s a privilege to be connected to the rest of the world, but it also makes it our responsibility to use all that information to educate ourselves and stay up-to-date on current events. The older you get, the more imperative it is that you gain a deeper understanding of the world around you. As busy as we all are, if you take a little bit of time every week to read the news and learn something new, you’ll be surprised about how much it’ll change your perception of the world. The economy affects us all, like it or not, so don’t let a busy school year distract you from the bigger picture. Olga Starenky is an experienced writer and political enthusiast. As the Head of the Junior Economist, she advocates for student voice and involvement in economics and politics.